Abigail Milton was born into the British middle class, but her family has landed in unthinkable debt. To ease their burdens, Abby's parents send her to America to live off the charity of their old friend, Douglas Elling. When she arrives in Charleston at the age of seventeen, Abigail discovers that the man her parents raved about is a disagreeable widower who wants little to do with her. To her relief, he relegates her care to a governess, leaving her to settle into his enormous estate with little interference. But just as she begins to grow comfortable in her new life, she overhears her benefactor planning the escape of a local slave--and suddenly, everything she thought she knew about Douglas Elling is turned on its head. Abby's attempts to learn more about Douglas and his involvement in abolition initiate a circuitous dance of secrets and trust. As Abby and Douglas each attempt to manage their complicated interior lives, readers can't help but hope that their meandering will lead them straight to each other. 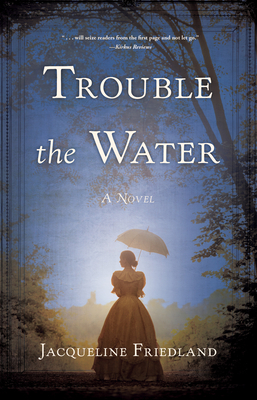 Set against the vivid backdrop of Charleston twenty years before the Civil War, Trouble the Water is a captivating tale replete with authentic details about Charleston's aristocratic planter class, American slavery, and the Underground Railroad.